Chances are that when it comes to prints, you'd classify yourself in one of two ways: pro or anti. You either outfit yourself statement-making florals, stripes, animal prints, and more, or you stick to solids at all costs. But, as it turns out, this all-or-nothing approach may not be the way to go. "Prints are very personal but can really enhance your wardrobe," says our resident head stylist Marissa Webb. "Finding ones that fit your style personality isn't as hard as we often think!" To that end, Webb shared with us the six must-have prints for every woman—even if you think of yourself a "solids-only" person. Keep scrolling to see the six prints you should have in your closet! 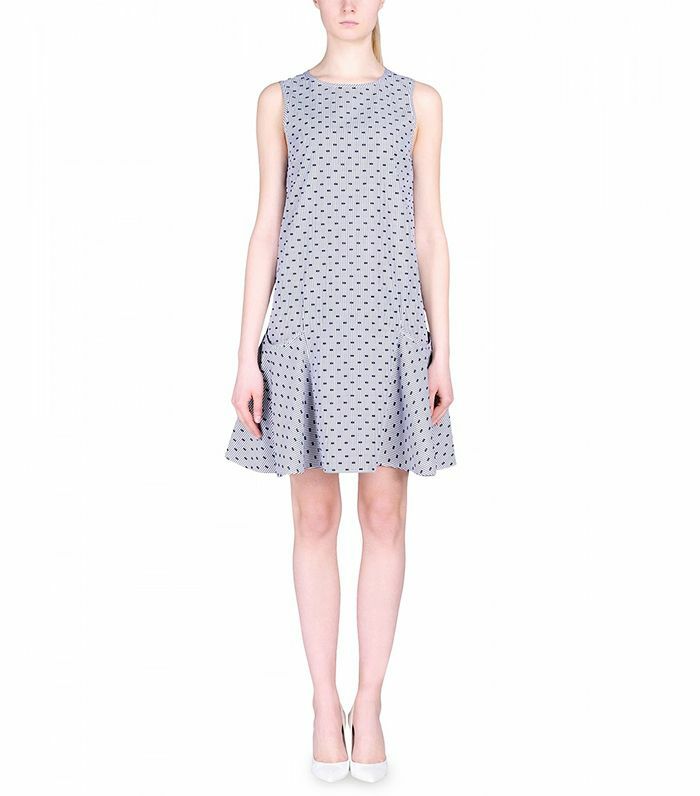 Whatever the size, a polka-dot print is a beloved classic. For example, a tiny dot can look timeless and elegant; it almost becomes a non-print that helps add texture to your wardrobe. For a playful moment, go big; or mix polka dots with stripes for a bit of whimsy. A classic plaid or stripe is always a must. Try a vertical stripe if you're worried that horizontal isn't flattering for your figure. A gingham plaid in different sizes is a great classic, too—try it in an unexpected silhouette for a modern twist! Black-and-white organic or floral prints are easy for most women to fit into their wardrobe—even if they are not traditionally floral-print gals. Animal prints, especially leopard, could almost be considered a neutral: They'll never go out of style and they easily mix into almost any outfit. If you don't love it in your apparel, go for it in your accessories. I love a bright mix of colours and patterns in dresses, skirts, and accessories—perfect for those times when you want to make a bold, fun statement. What do you think of the skinny-scarf trend? Tell us below! In general, if you shy away from wearing prints, find them in your accessories—they're the perfect place to be daring. I think of them as the icing on the cake! Are you a prints person? Tell us what you love in the comments below!